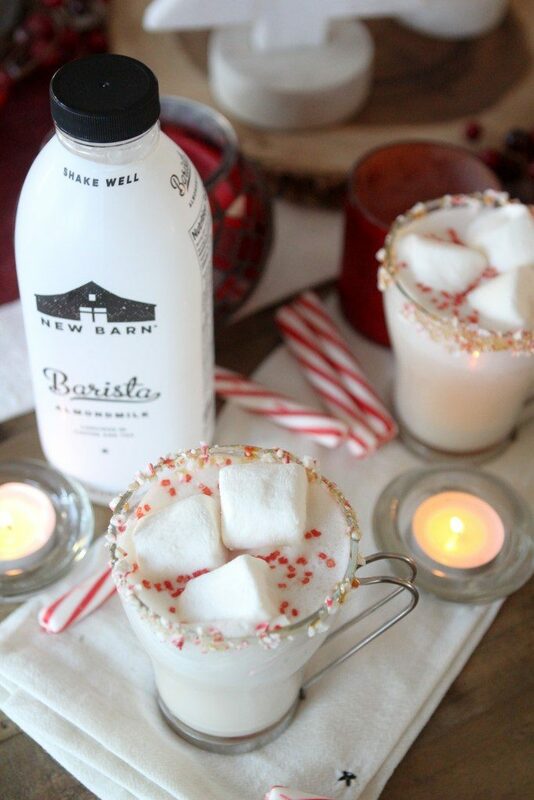 A paleo-ish Peppermint White Hot Chocolate from the Whole Smiths in partnership with New Barn Barista Almond Milk. Kick things up a notch this holiday season with this festive cocktail or simply omit the vodka for a fun kid-friendly drink. 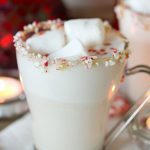 This season I wanted to create the perfect holiday beverage for grown-ups and kids alike. 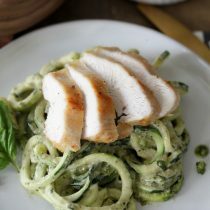 And since I’m not a fan of doubling up efforts I wanted to create one recipe that would taste just as delicious with or with out a little sumthin’, sumthin’. 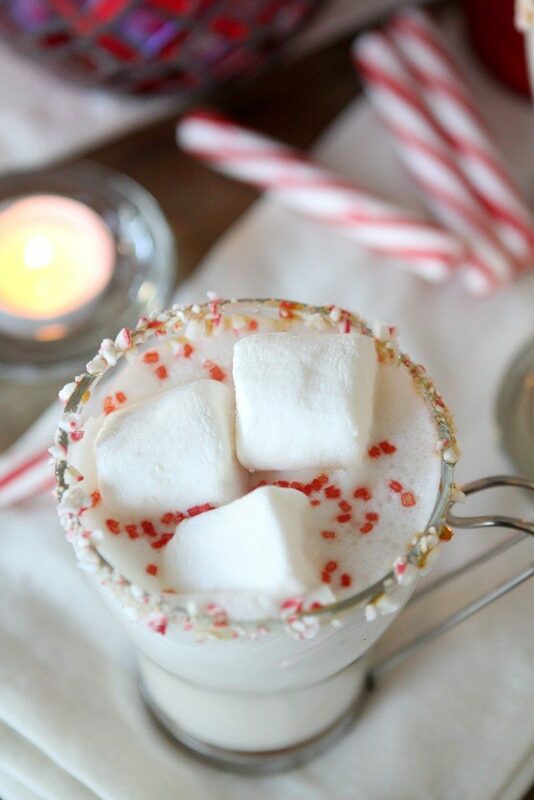 And this Peppermint White Hot Chocolate is just that. Thankfully New Barn has an almond milk variety, Barista, that blends smoothly with other beverages! As far as sweetened, foofy drinks go this is going to be a fairly clean option for you. 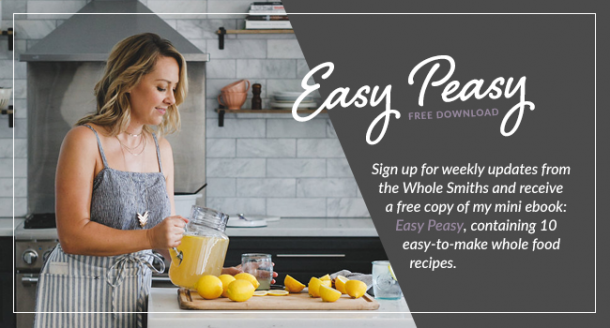 I went back and forth on whether or not I should use regular white chocolate morsels in this recipe because the commercially produced white chocolate that I’ve come across has some form of dairy in it. So adding some dairy to a non-dairy milk didn’t make a whole lot of sense. Or maybe it does? Here’s the deal. For me personally, my body reacts just fine if I have a small amount of white chocolate in a dessert or to nibble on. However, if I drank giant mug of hot chocolate using a traditional dairy milk you may think I looked 6 months pregnant and my stomach would revolt. So for me, adding some white chocolate to my almond milk beverage make sense. But maybe it doesn’t for you. I also contemplated creating some form of a paleo white chocolate but the truth is I know you probably wouldn’t make that. Not to mention I like to keep things simple around here, especially around the holidays. 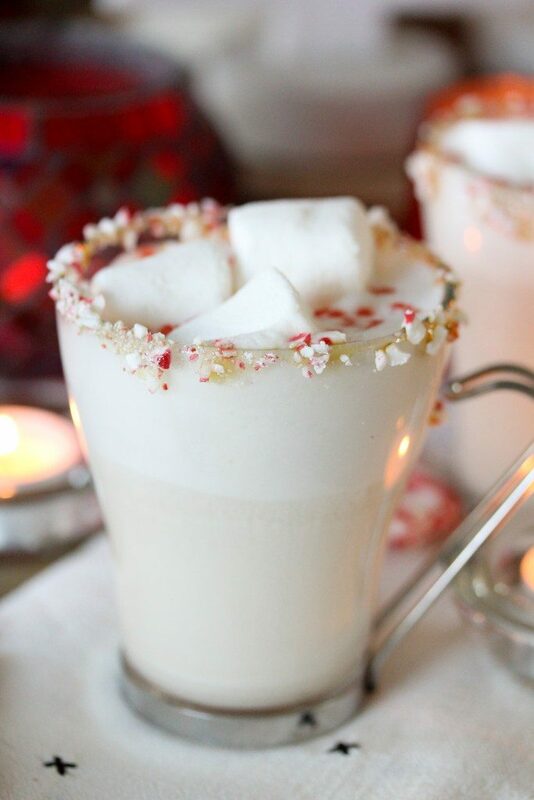 I’m going to give you the option to make this simply a Peppermint Hot Un-Chocolate. 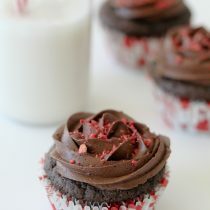 You can omit the white chocolate bits and add the peppermint extract just the same. The New Barn Barista Almondmilk is lightly sweetened as is so you don’t need to add additional sweetness…unless you want to. In that case add a touch of honey to taste and you’re set. 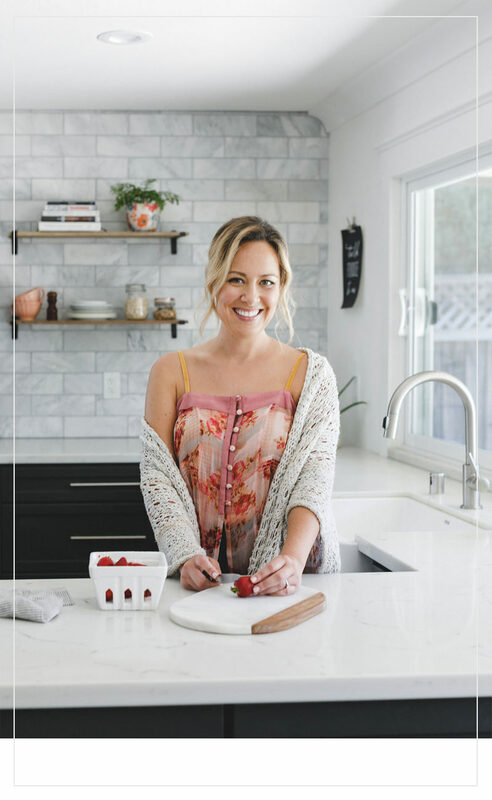 It will still be a tasty holiday treat but how much you want to clean it up is your choice. As I mentioned, not all almond milks blend as well as New Barn’s Barista variety. 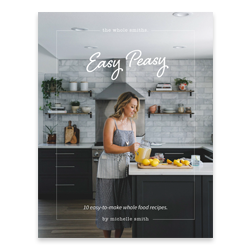 Particularly clean varieties because they aren’t loaded up with a ton of gums and emulsifiers. Fortunately New Barn cracked the code on creating an almond milk that is still clean but blends with other liquids. Not only does it blend beautifully with this cocktail/mocktail but it blends perfectly with your coffee. Hence the Barista title. In fact, Whole Foods uses it behind their coffee bar. Speaking of coffee, you could also add a shot or two of espresso to this recipe for a fun coffee drink. Personally, I prefer adding the vodka but make it your own. If you’d like to make this drink nice and boozy add a shot of vodka into it. Or maybe two? Ok, probably not two unless you’re that guy/gal which in that case let’s hang out. Alright friends, enjoy this boozy (or not) delight. It’s one of my new faves and would be a hit at any holiday gathering. * Have a beautiful holiday season. *Holiday gathering = sitting alone on the couch with the tree lit watching Vanderpump Rules. 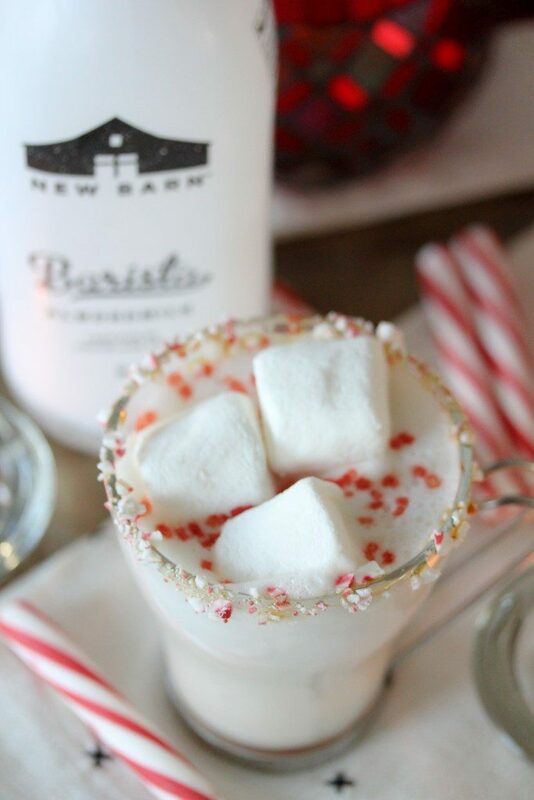 A paleo-ish Peppermint White Hot Chocolate from the Whole Smiths featuring New Barn Barista Almond Milk. Kick things up a notch this holiday season with this festive cocktail or simply omit the vodka for a fun kid-friendly drink. 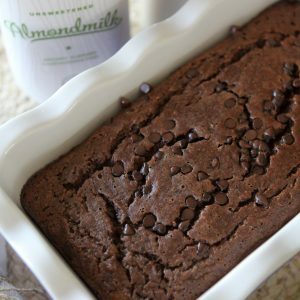 Add the almond milk into a large sauce pan and heat over medium-high heat. Add the whole chocolate and peppermint extract to the pan and whisk until the white chocolate has melted. Pour into mugs and add optional vodka each mug if you’d like to make this a cocktail. Give it a gently stir. 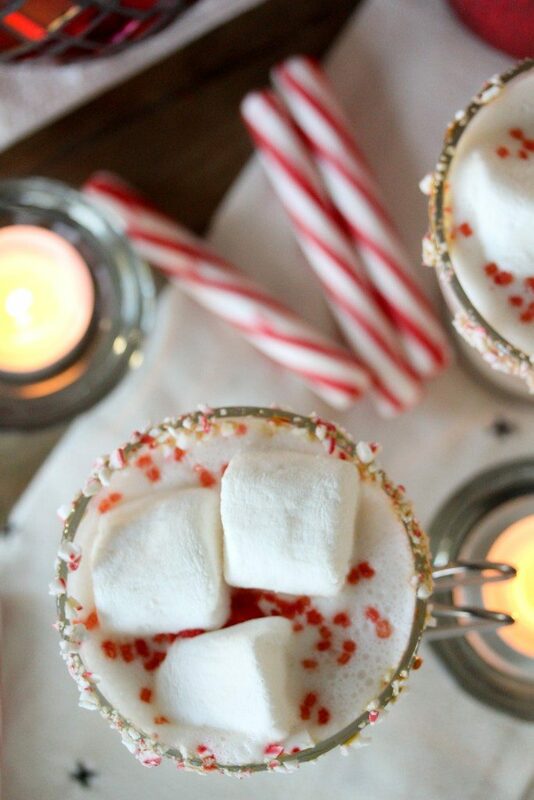 Top with marshmallows and a peppermint twist.